Despite being an unreleased device, the Samsung Note 6 has already become one of the hottest phablets of this year. All the credit goes to the buzzing rumors that intensifies the possibility of seeing outstanding and innovative features in the device. In this article, you will find two of the latest rumors on the upcoming phablet. Earlier, a number of different reports claimed that Samsung’s next phablet will be released in July 2016. As a result, all the fans have been eagerly waiting for the particular month. However, it seems that they will have to wait a bit longer. According to Evan Blass, a leakster, the Samsung Note 6 will be released on the week of August 15. Moreover, he mentions that it will be available in the US at the particular period. He revealed the statement through his twitter account. 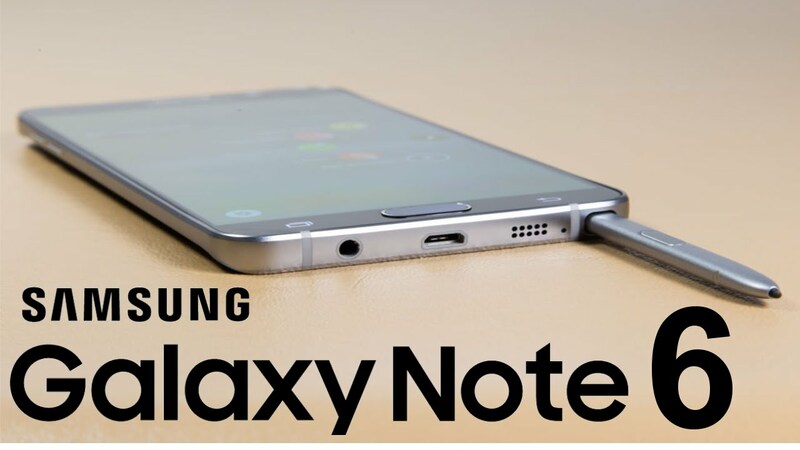 Despite contradicting with the previous reports, the particular release date of the Samsung Note 6 looks very logical. Its potential major competitor, iPhone 7 Plus, is strongly expected to be released in September 2016. Samsung might be planning to release its flagship phablet earlier to stay ahead in the game of competition. Moreover, with the early release of the Note 6, a lot of expectation will be made from the iPhone 7 Plus. All the Apple fans will love to see better features in it. More specifically, they will want to see the iPhone 7 Plus beating the Note. However, if it fails to meet the expectation, it will create a massive pressure on the Cupertino company. It will push all the potential buyers to go after Samsung’s new phablet. The new Note 6 is rumored to come with a feature called Samsung Focus, which will work quite similar to the Blackberry Hub. For those unfamiliar with the Hub, it is a focus point for all communications that go through your smartphone. More specifically, it is a one-stop shop for different texting services, email services and social networks. It enables you to perform all sorts of communication through a single app. According to Sam Mobile, Focus will deal with all the emails, contacts, memos and calendar on the upcoming Samsung Note 6. It is also rumored that the communication hub will replace all of Samsung’s general communication apps. It will support multiple accounts. It will come with different customization options. For instance, it will enable the user to hide notifications from certain accounts. The users will also be able to flag certain keywords. As a result, specific content will be prioritized, enabling them to be shown on top of the list. Overall, Focus will be a very useful feature. This is the end of the article. Keep in touch with us to get more rumors on the upcoming Samsung Note 6.